Copestone Dry Stone Walling: Asbestos stops play! Hmm, first it was the snow...pretty impossible to get to a wall that's under 8" of snow. 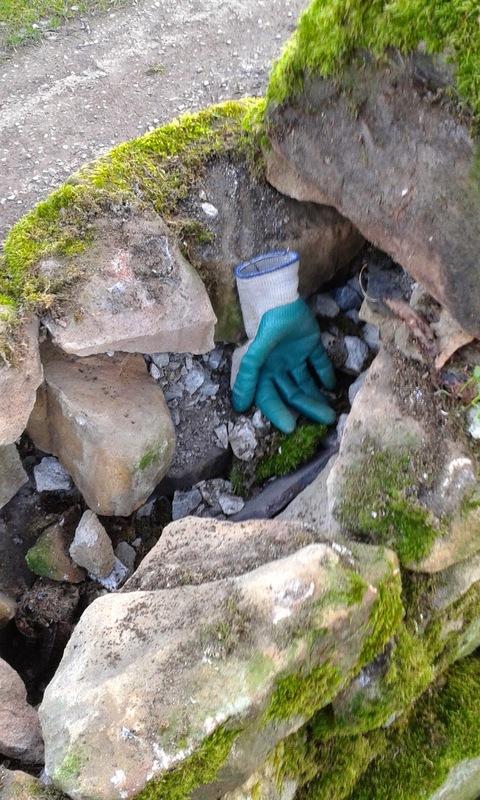 Then I discovered what looks like asbestos in the wall...so have had to stop until it's identified and dealt with. 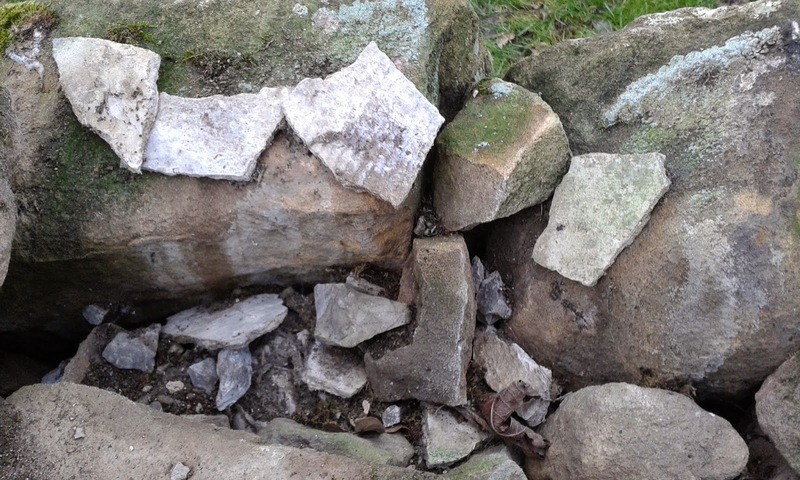 Pllease note, builders of the future...a dry stone wall is NOT a good place to stuff asbestos! Thank goodness we discovered it before the children who live here did! Part of the problem with this wall is the lack of 'hearting' meaning it has no internal strength and support, it's much more likely to move, bow and crack under any kind of pressure.